Jan 08, 2019 Myokem Pyroxamine: The Focus Fat Burner Returns from the Dead! Ultra Premium Thermogenic Furnace Ignition Fat Burner! Olympus Labs underwent an extensive research process to develop the ultimate fat burning blend for you.. Several ingredients were considered, and and several were rejected. 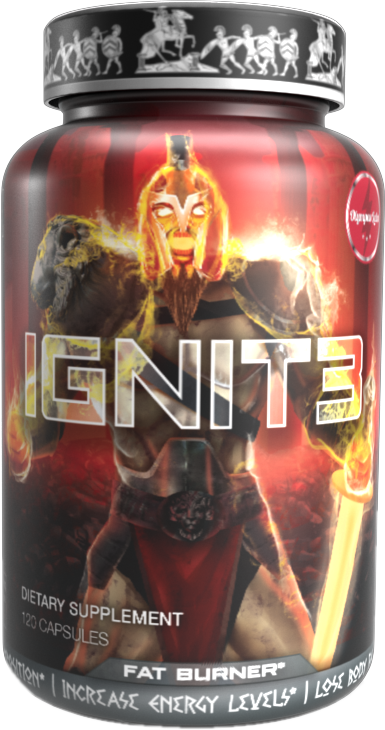 Don’t leave you fat loss to hope... leave it to science with Ignit3! Get it now! - Helps Reduce Body Fat! - Helps Prevent Fat Gain! - Helps Increase Fatty Acid Mobilization! - Helps Improve Insulin Resistance! - Helps Improve Insulin Sensitivity! Why: The feel-good capsule fat burner. Utilising up to date science to safely increase fat loss, promote thermogenesis and reduce appetite. Who: Suitable for all men and women. Assess tolerance for stimulants. New Formula This is a Buy 1 Get 1 FREE offer!